Get inside scoop on Speedy Casino with Casino Veteran’s review. Some say he’s a casino shaman. Some say he’s a casino sorcerer. 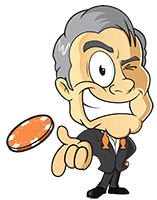 He’s the Casino Veteran, and he decided that the time was nigh for him to take a look at one of the newest of new online casinos – Speedy Casino. Created by Swedish game enthusiasts who also happen to be developers, Speedy Casino grew out of the excellent, award-winning Casino Heroes offering (it’s from the same Swedish parent company, Hero Gaming). As an online gambling innovation, it’s built like a land casino: players just bring their money to the casino, play and leave, taking what remains plus their winnings with them. There are no wagering requirements. The casino is licensed by the Malta Gaming Authority, one of the most respected licensing bodies in the world. Players will find well over 500 slots (and climbing) as well as a satisfying range of live dealer games, poker games and table games. The casino is a breeze to navigate through with its simple, crisp design. All personal and financial information pertaining to players is robustly protected with SSL encryption technologies and verified by Comodo Ltd, ensuring that all player data is encrypted before being transmitted over the net. There is no telephone support, but professional, courteous and knowledgeable personal support agents are available via live chat. The one quibble here is that this isn’t a 24-hour service yet. 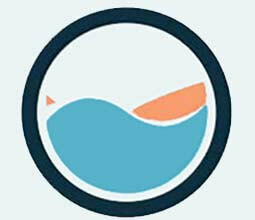 However, it is available between the hours of 9 am and midnight. All the games available on a desktop or laptop are available for Android and iOS mobile devices (including tablets and smartphones). There is no need for an app as the website has been optimised for mobile, so all you need is a compatible mobile browser and away you go. It may seem like a downer for online casinos, but you’ll find no welcome bonus, no free spin bonuses and no promotions at Speedy Casino. Why? Because the big draw here is that players don’t need to create an account: you can just deposit the money and start playing or placing your bets. You can then take whatever you didn’t use plus your winnings when you think that it’s time to leave. At the moment, this really is a bit of a downer for this recently-launched casino: the only countries currently eligible are Finland, Germany and Sweden (where the parent company behind Speedy Casino is headquartered). Therefore, casino enthusiasts located in some of the biggest online gambling markets in the world, notably the United States, the UK, Spain and Italy, are not yet eligible to access this highly original online casino. 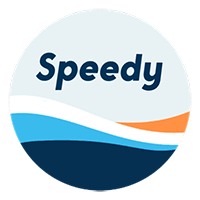 Players visiting Speedy Casino will face a very limited repertoire of methods for funding their accounts. There’s just one: Trustly. However, the good news is that Trustly is exceptionally secure, reliable and fast. Both deposits and withdrawals are virtually instantaneous via this payment channel. We expect more games to be added to the catalogue as the casino grows. As always, the Casino Veteran enters every new online casino that he visits with a mix of anticipation and hard-headed scepticism. He loved the no-fuss design of this casino, and while he frowned a little at the limited live chat hours on offer at present, he tried his hand at American Roulette, Three Card Poker and Guns N’ Roses, and after a series of confident wins, he left rather better off than he entered, resolving to come back to this innovative casino. He logged off hoping that it comes to other countries soon.